Its beaches, its atmosphere and the charm of its urban area, Denia is one of the favorite places for visitors who come to the Marina Alta. Therefore, is also one of the areas where most in-demand there is purchase apartments for sale. Apartment to be refurbished near the beach. Two bedrooms, one bathroom, closed kitchen with utility room, living/dining room, large terrace. Located on the third floor without elevator in the area of Las Marinas. 55 m² of constructed area plus 18 m² terrace. The renovation costs amount to approx. 15.000 €. Close to all amenities such as cafés, public transport, supermarkets, pharmacy... The apartment is located only 400 m from the sandy beach of Els Molins and 5 km from the centre of Denia. 2 bedroom apartment with beautiful sea views for sale in Denia.Property distributed on 2 bedrooms, 1 bathroom, living room, kitchen, laundry and terrace with direct sea views. Recently reformed kitchen. Double glazing aluminium windows. Fourth floor with no lift but amazing open views.Close to one of the best beach location in Denia, in Las Brisas area, just 150 m. from sandy beach and 100 m. from all kind of amenities (supermarket, bars, restaurants, pharmacy ... With bus stop for an easy access to Denia town center, just 3 km away.Parking in the complex. Apartment in Denia, Las Marinas area.If you are looking for a small investment in beach area or an apartment with few expenses for holidays or even a flat to live all the year... maybe you like to reform or you love the vintage style... Whatever it is, surely you've found the perfect apartment for sale in Denia´s beach. 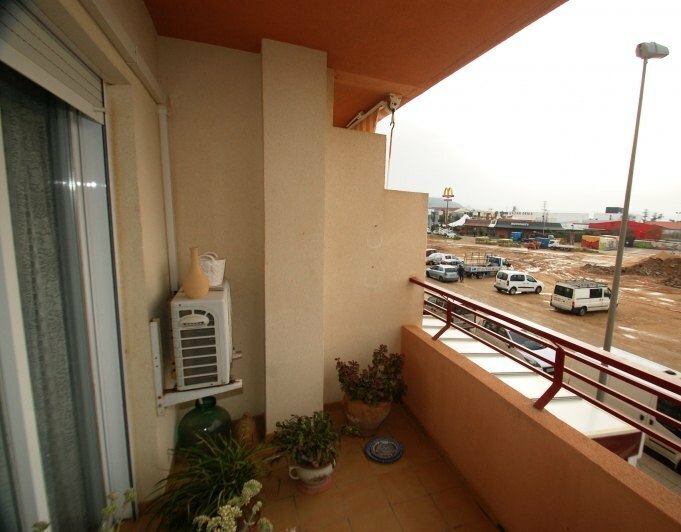 Situated in a residential area with gardens, very close to one of the best beaches, with fine sand and much space. It is a second floor, with the approval by the community of the installation of an elevator in a maximum of 2 years. It consists of 2 double bedrooms, spacious living room, kitchen and laundry room gallery. Corner terrace with plenty of light, oriented to the south and many possibilities. Also close to shopping centre and services opened all year.Made for you, discover it. Apartment for sale in Denia.It is a charming apartment in one of the most sought after developments in Denia its gardens, public areas, for its proximity to all kinds of services and restaurants, just steps away from the beach and only 4 km away from the Centre of Denia.The housing includes a bedroom, a living room with access to the terrace, bathroom and kitchen with officeThe House is located on the ground floor and has direct access from the terrace to the common areas (gardens, swimming pools, paddle and BBQ).Very close to the Bus and Las Brisas mall stop. Apartment on the first floor distributed in 1 bedroom, 1 bathroom, kitchenette, living room with fireplace with cassette and terrace with views to common areas and the Montgo. It has air conditioning and it is refurbished with double glazed windows. For sale mid furnished. Community parking area.Complex with swimming pool and garden, om Km 9.2 of Las Marinas, 300 m from the beach. 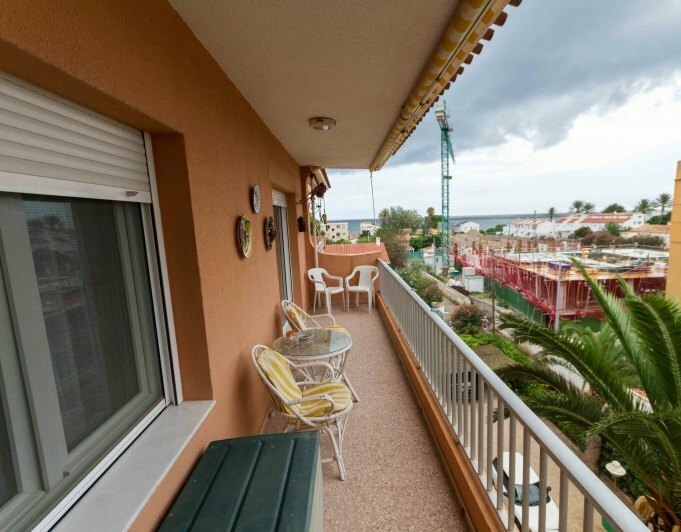 Apartment with lift in Denia. 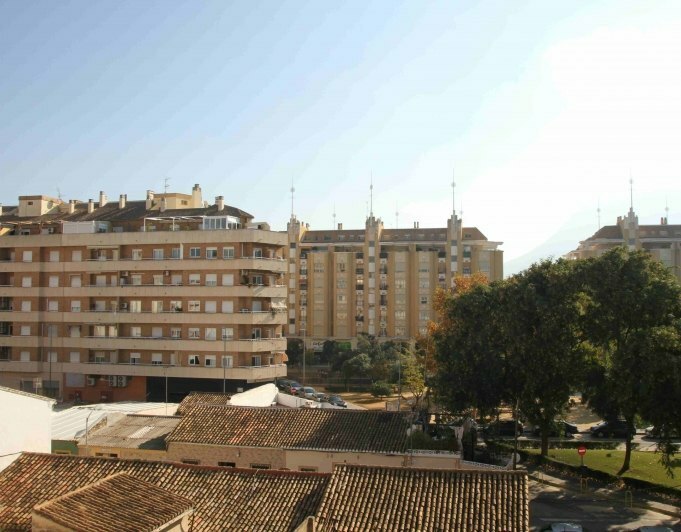 Spacious, apartment located in a building close to all the amenities of the centre Denia. Comprising of: an entrance hall, 4 bedrooms, 2 bathrooms, 1 livingdining room, a separate equipped kitchen, a laundry room and a covered terrace. Features include: underground parking for 1 car, fitted wardrobes, gas central heating with radiators, 1 aircon (h&c) and double glazed windows with shutters. The community charges are: 126€ / 3 months. Great opportunity! Duplex, apartment on the first floor in Las Marinas, just 100 meters to Almadraba beach with beautiful sea views.Built in 1995 and in good condition, the property is distributed on 2 floors. The ground floor has an entrance hall. separated kitchen, a living / dining room, a full bathroom and a covered terrace. On the first floor there are 2 double bedrooms (both with sea views), 1 showeroom and an open terrace. The extras include: fitted wardrobes, a fireplace, electrical radiators, 1 air conditioning unit (h & c), electric water heater, wooden windows, aluminum blinds and aluminum shutters. The property is sold furnished (if sold for the asking price) and including electrical appliances.In the communal gardens there are 2 swimming pools an outdoor shower, a barbecue area and covered parking. The communal charges are only € 834 per year. Offering great holiday and rental potential viewing is strongly recommend!